DVD review for Fuller House: The Complete Second Season set which is now available. Netflix has released a new trailer for Season 2 of Fuller House. Netflix has announced a Season 2 premiere date for Fuller House. 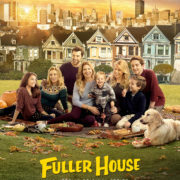 Fuller House Season 2 Is Happening! Netflix has announced that Fuller House will be back for a second season.